Tres Hermanas Falls, or the Three Sister Falls, is another entry from Peru. 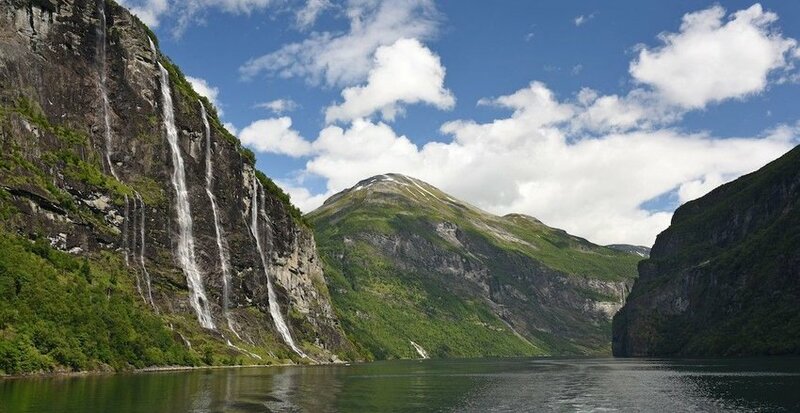 The waterfalls are located in the remote Ayacucho region inside Otishi National Park and stand at around 3,000 feet. The falls earned their name because of the three distinct steps. 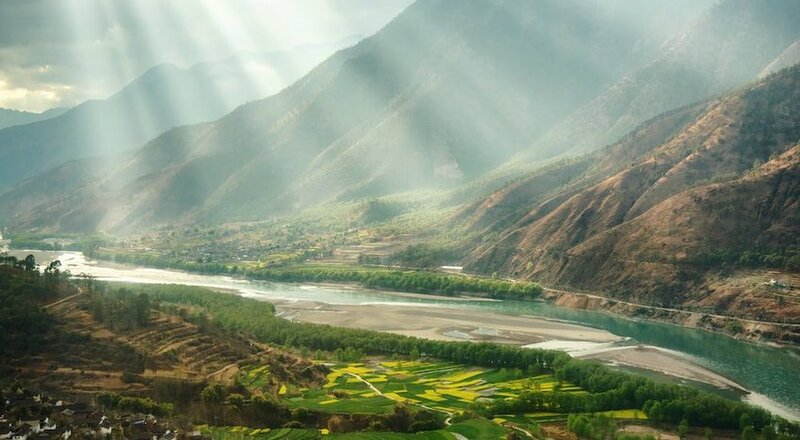 The first two tiers lead into a natural catch basin while the third tier is barely visible as it falls into the Cutivireni river. 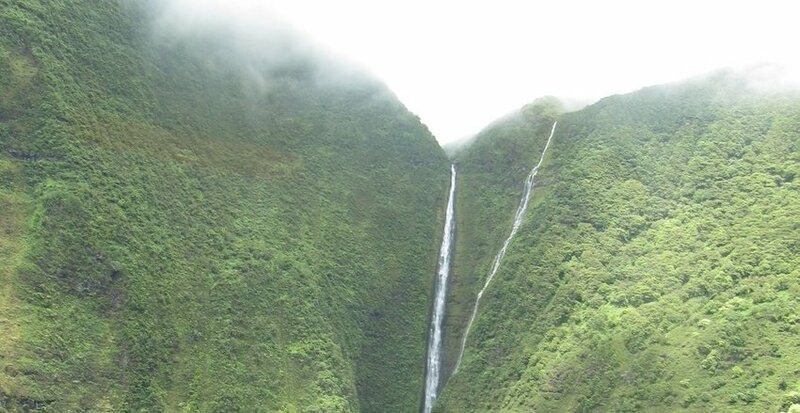 The falls are surrounded by massive tropical rainforest trees that can grow up to 100 feet tall. It’s also nearby to Pavirontsi Natural Bridge, said to be one of the largest natural bridges in the world. There are some remote and rough trails that lead to the falls, but you really need to book an aerial tour to best see Tres Hermanas Falls. Tugela Falls are located in the Drakensberg mountains of South Africa, inside the limits of the Royal Natal National Park. 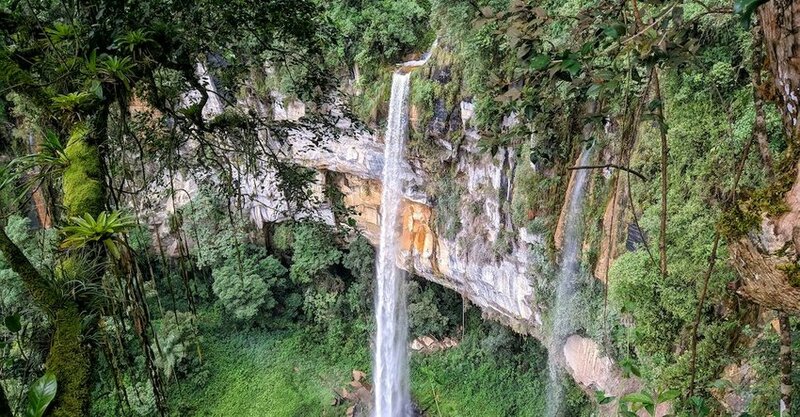 The source of the Tugela River is nearby, and the falls themselves are 3,110 feet tall. 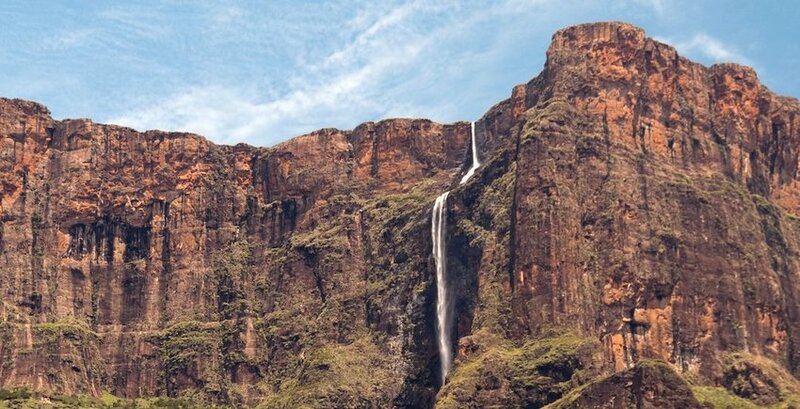 Some people believe Tugela Falls might actually be the tallest falls in the world. Unlike some waterfalls that fall in one sheet, Tugela Falls make five consecutive drops down. The falls aren’t constant year-round and are best seen after heavy rainfall. When it’s extremely cold, the upper section of the falls can freeze and form pillars of ice. 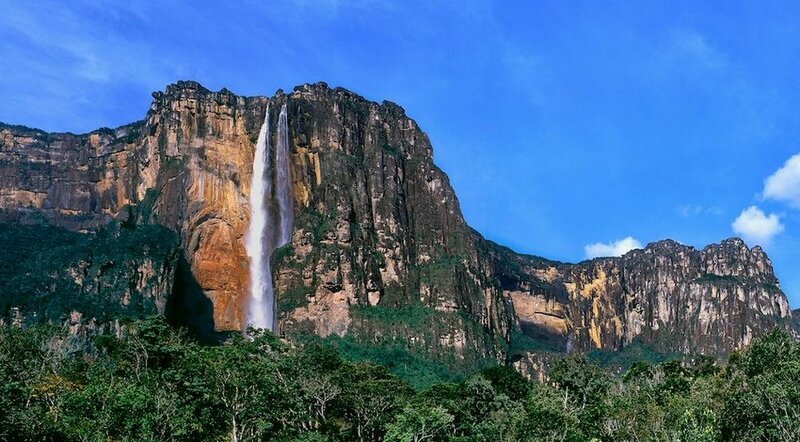 Located in Venezuela, Angel Falls earns the honor as the highest waterfall in the world. It towers over the others at 3,230 feet in height and has an uninterrupted drop of 2,647 feet. Angel Falls are in Canaima National Park, which is a UNESCO World Heritage Site within the state of Bolivar that borders Brazil and Guyana. The falls were named after Jimmie Angel, who was the first person to fly over the falls. After he passed away in 1960, his ashes were spread over the falls. You’ll hear many people refer to the falls by their Spanish name, Salto del Ángel. In 2009, President Hugo Chávez renamed Angel Falls to Kerepakupai-Merú, an indigenous Pemon term for a waterfall of the deepest place.